In 2014, New Mexico became the 42nd state to ban texting while driving in its attempt to cut down on distracted driving. These efforts made sense, given that driver inattention is the leading cause of New Mexico car accidents. As an Albuquerque car wreck attorney, I have seen too many cases where distracted driving has caused my client’s injuries. Despite the state’s initiatives to cut down on distracted driving, distracted driving continues to be a significant safety issue that causes too many car wrecks. While texting and driving bans were meant to make roads safer, distracted driving accidents are only increasing. According to a recent NHTSA report, an estimated 660,000 use their mobile phone as they drive. Statistics like these are what caused state legislatures like New Mexico’s to pass laws that were designed to reduce this dangerous behavior. Today, all major New Mexico cities — including Albuquerque — ban cell phone use while driving. Sadly, the 2014 law and other laws have not served their intended deterrent effect. 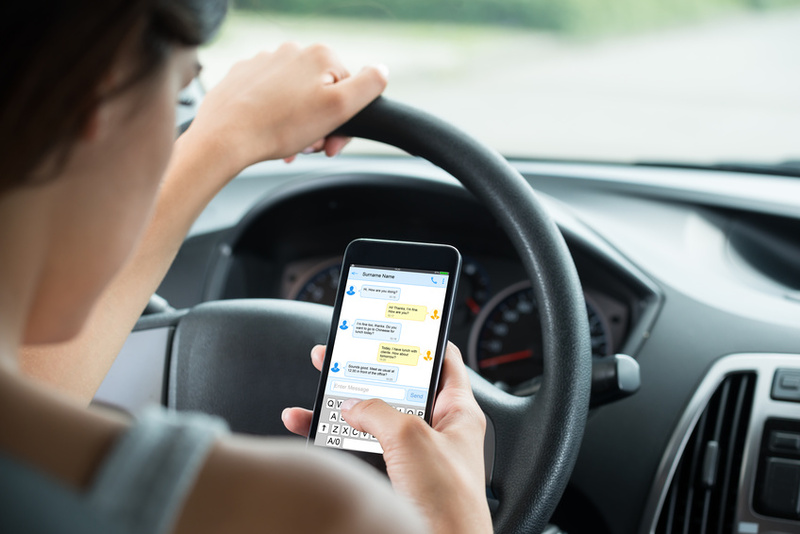 Car wrecks caused by distracted driving are all too common, as New Mexico’s Department of Transportation indicates that nearly 20% of car accidents in 2014 were caused by driver inattention. Some New Mexico lawmakers are mulling the possibility that tougher laws will help reduce New Mexico’s distracted driving problem. For starters, lawmakers are looking to increase the fine amount for texting and driving. Currently, a ticket for texting and driving is only $25. Simply put, lawmakers like Sen. Steven Neville believe a $25 fine is not enough. As a car wreck lawyer in Albuquerque who has seen too many distracted driving accidents, I am inclined to agree with this sentiment. Neville is looking to increase the fine four-fold, upping the texting and driving fine to $100 for a first offense. Neville believes this increase will cause people to “think twice” before texting and driving. While texting and driving remain a major problem, it is also just one large part of the greater issue of distracted driving as a whole. New Mexico State Police Chief Steve Kassetas cautions that careless driving is a major safety issue as well. For this reason, the upcoming bill aims to up the penalties for careless and reckless driving to $100 for a first offense as well. It is worth noting, however, that Albuquerque already starts at $100 for the first offense for these offenses. Despite this stiffer penalty, Albuquerque car wrecks are still caused by distracted drivers far too frequently. I have seen the injuries and harms caused by distracted driving firsthand, as I help clients and their loved ones pursue their right to legal compensation. If you or a loved one has been injured by a distracted driver, visit me at my Albuquerque office for a legal consultation. I am an Albuquerque car wreck attorney who will assess the facts of your case and will let you know whether you are entitled to legal compensation for the injuries a distracted driver caused. If you are entitled to legal compensation as the victim of a distracted driving car wreck, I will provide you with trusted legal counsel as a car wreck lawyer in Albuquerque. Contact me today for a free legal consultation to talk about your New Mexico car accident case.